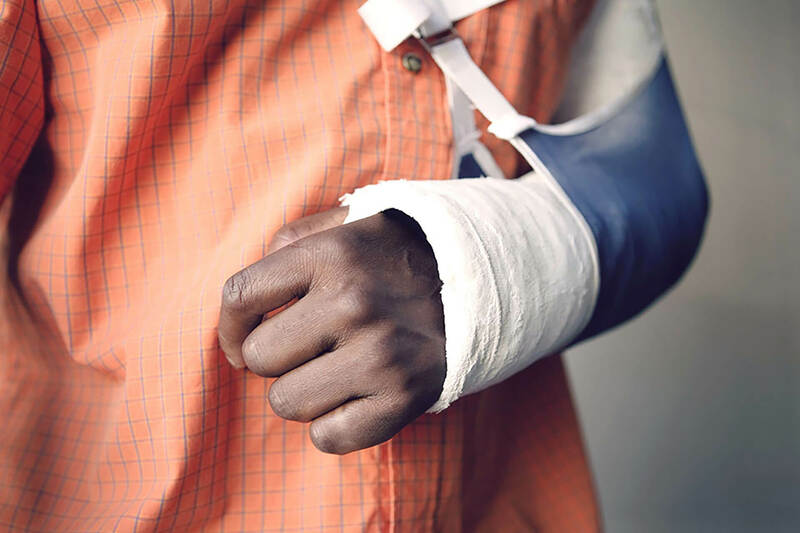 Broken Bones: When Should You Go to The Emergency Room? There are many types of bone fractures and breaks. Damage results for different reasons in a variety of ways. It may be unclear when to go to seek emergency room treatment for broken bones. When in doubt, ask a professional. Some fractures can wait to be examined by your doctor or an urgent care. But, if you can see the fractured bone protruding through the skin, or if your limb is misaligned or mangled due to trauma don’t hesitate to get to the nearest ER or call 911. A bone fracture is basically a break in the cartilage or bone that results from force, trauma, or a disease such as osteoporosis or a congenital defect. These conditions cause brittle bones that can be easily damaged. The compound or open fractures penetrate the skin and expose underlying tissues and bone. Simple fractures do not break through the skin and are sometimes hard to diagnose without digital imaging devices. Transverse fractures affect the bone in the long axis and result from a hard force applied from a right angle. Spiral fractures are caused by aggressive twisting of the bone. Oblique fractures occur when trauma is received any other angle besides a right angle. Greenstick fractures are seen only in children. Young bones are the most flexible and sometimes break partially or on one side. Comminuted fractures are several breaks in the same bone. Avulsion fractures happen when extreme force is put on a ligament or tendon. A small portion of bone is ripped away. It is common for patients to undergo physical therapy following emergency room treatment for broken. All these symptoms require immediate medical assistance. If a ride to the ER is not available, don’t hesitate to call 911. If you haven’t experienced any of these symptoms, you may consider visiting an urgent care clinic or calling your family doctor. Urgent care may not have access to CT scan or x-rays, but they can treat pain and provide crutches, boots, braces or other supports for unstable bones. When in doubt, ask a professional. Call your local emergency room and discuss your symptoms with a skilled nurse or doctor; they can answer any questions you may have and point you in the right direction.